Beautiful music can enhance the ambiance of the occasion and bring added pleasure to both yourself and your guests. 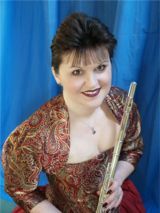 A professional singer and flautist with 20 years experience, Clare has performed at weddings all over Wales. With her wealth of experience and range of music repertoire, she can tailor a music package to suit any wedding. From classical songs to contemporary ballads, show tunes, Jazz and much more. if booked with Paul Harrison Photography. Church music packages include for a performance during the signing of the register or for a civil ceremony, all the music for the wedding, including the all-important processional and recessional into and out of the marriage room. Contact Clare now to discuss your requirements or request a no obligation demo CD, check availability or book an appointment.